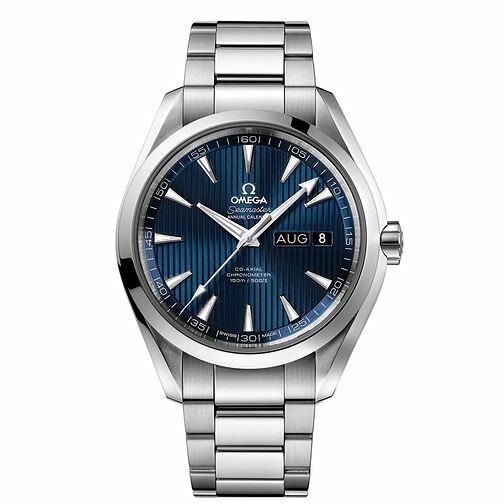 Luxury Swiss watchmakers Omega blend classic and contemporary styling to create this timeless and versatile men's Seamaster Aqua Terra watch. Set on a sleek stainless steel bracelet, the deep blue dial is simply detailed with baton markers and month and date windows. Powered by self-winding co-axial movement.